There are 137 reviews of Opium. Yves Saint Laurent used to be a very controversial designer throughout the 1960's into the early 1980's, openly flaunting his homosexuality in a relationship with his partner Pierre Bergé at a time when society was much less-accepting of such, and placing women in "smoking suits" that were the austere antithesis of conventional femininity of the day. This controversial nature extended to his perfumes as well, starting with civet green floral chypre of Y (1964), to the sharp mossy rose of Rive Gauche (1971), and the innocuous lemony chypre known as Yves Saint Laurent Pour Homme (1971), that fires up in nightclubs with a little body sweat. Saint Laurent brought back 2 of the perfumers he worked with in past creations to make his newest perfume for women, Opium (1977), and it was a creation polarizing in smell, name, and packaging alike at the time. Looking back now over 40 years later, what Opium presented seems like an archetype for a well-played genre, with DNA passed immediately down to orientals like Cinnabar (1978) and Obsession (1985), that doesn't feel anywhere near shocking to a modern nose, although it is still very much it's own beast compared to what passes as an oriental in the 21st century landscape. I can't possibly fit all the controversial launch party shenanigans surrounding Opium, nor all the bizarre outrage lobbed at it, but here is the basic version it: The name was linked to YSL condoning drug use, the Chinese aesthetic linked to an early form of disrespectful cultural appropriation which resulted in the formation of actual committees seeking punitive damages from YSL, and the smell of the stuff helping to reignite interest in rich orientals after florals and green chypres had dominated, resulting in tons of clones, plus plumes of Opium perfume filling all the usual hangout spaces of urban upper middle-class society. Flankers revived the nameplate many years after this was released, but most of them play up the theme of the original only tangentially, so I can't exactly say they're worthy of exploring. The smell of Opium is still a product of the 70's mindset in perfumery at the time, with a dirty dryness in the heart not too dissimilar from Eau d'Hermès (1951), but whereas that effect is achieved by perfumer Edmond Roudnitska with cumin, in Opium the same effect is achieved with a kitchen sink accord of so many different spices, florals, and aromatics that it's impossible to pick out the culprit. Jean Amic of YSL Y fame returned, as did Raymond Chaillan of YSL Pour Homme fame, teamed with a third perfumer named Jean-Louis Sieuzac, who became known in his own right for this and later vintage fraghead faves like Pascal Morabito Or Black (1982), Hermès Bel Ami (1986), and Dior Fahrenheit (1988). It was rare that 3 perfumers were employed at once back then, although perfumer focus groups now seem common in the modern age of Calvin Klein or Giorgio Armani, where a happy medium is actually desired and not reached in compromise. With Opium, a hesperidic accord of bergamot, aldehydes, and mandarin is spiced up with clove, pepper, pimento, and bay. A touch of dark plum sweetness is added, and the whole party moves downstairs to dance with a crowd of stereotypical florals. Jasmine, rose, ylang-ylang, carnation, and muguet play with orris root, cinnamon, and a peach note, making parallels to the dry green floral chypres circling at the time, but with spice in place of galbanum to keep it sharp. The base is the most congested of all the tiers in this note pyramid, and without naming everything in it, since you can't smell half of it anyway due to blending, let's agree that it's basically everything found in the bases of most other perfumes, combined. The incense, patchouli, sandalwood, and labdanum stand out most, with animalic undercurrents of castoreum, styrax, and musk mixing with a touch of dry vanilla to keep it from being bitter. Sillage is medium-high and longevity is also impressive, but this gets cloying fast so be mindful of application and the weather in which you intend to wear Opium, since all that factors in with something this dense in construction. 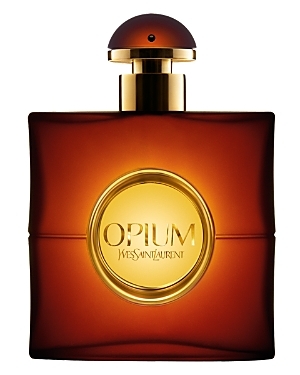 Opium eventually got a "Pour Homme" version composed by Jacques Cavallier in 1996, which dials down the florals some and enhances the woods, spices, and rich base, but it seems rather superfluous and unnecessary, which is probably why it languishes in Discounter Hell these days. Opium in it's original feminine-marketed version is plenty balanced enough for men to wear too, and any guy who owns Aramis JHL (1982), Jaïpur Homme (1997), Penhaligon's Endymion (2003), or even Azzaro Wanted by Night (2018) has already smelled sweeter and arguably more "feminine" oriental fare than Opium, but dressed up in masculine packaging. For this reason, I urge anyone to float over and find a tester of this at a YSL counter and give it a sniff, swatting the sales associate away if they try to "correct" your choices. Opium is a spicy, heady, semi-sweet oriental blast canon of a fragrance that suit anyone looking to cut the chill air with trails of the orient. Funny fact, most "opium" incense sold at gas stations doesn't try to emulate the smell of the opium poppy, but rather this fragrance, which doesn't really contain any actual opium flower, so if you've burned sticks of that stuff, you've already smelled a clone of this old girl in action. I recommend using this only in winter, or conservatively as a mature night scent, to a dinner, play, or night on the town window shopping. This stuff is a bit too formal and serious for clubbing, since it isn't quite as sweet as modern takes on the genre, and the spice is just so present here that you might be seen as "over-doing it" in terms of the attention department. Wherever you wear Opium, people young and old will notice, either by remembrance of how contrarian it once was, or by being affronted with a wall of congealed aromatics, so it's not for the meek. Thumbs up, but wear responsibly, unless you want people to form a committee in protest against you the way they did Yves Saint Laurent years ago. An old school good scent. And yes, it's unisex IMO. Complex, not too versatile but with a giant projection and longevity. I have owned the vintage Opium from the early days ever since I tried some at a perfume counter. I just had to have some. Most of the time I considered it far too potent for casual wear, so that is the reason I still have it in nearly full bottles. But being curious about the new formulation, I have finally decided to give it a try. The initial blast is far different from the vintage formula. Lots of synthetic notes in there. Not the same at all. But after 30 minutes or so, it does settle down into an exact representation of the vintage Opium. The only thing now is to see how it stays after a few days or so. The original just keeps going and going on your clothing. 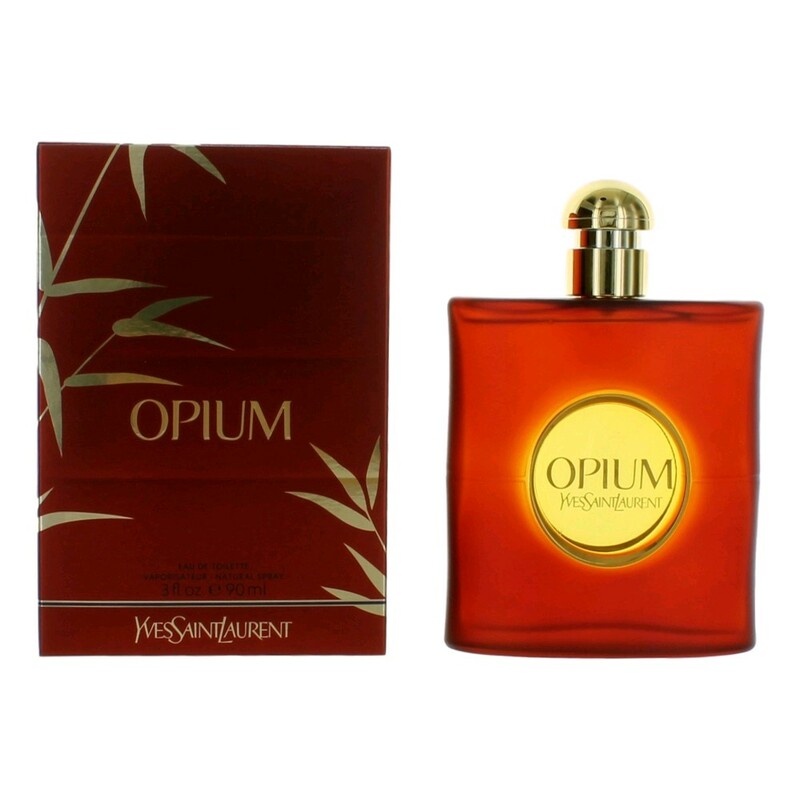 New Opium Eau de Parfum Spray 3 oz. NEW: Yves Saint Laurent - Black Opium Hair Mist For Women! 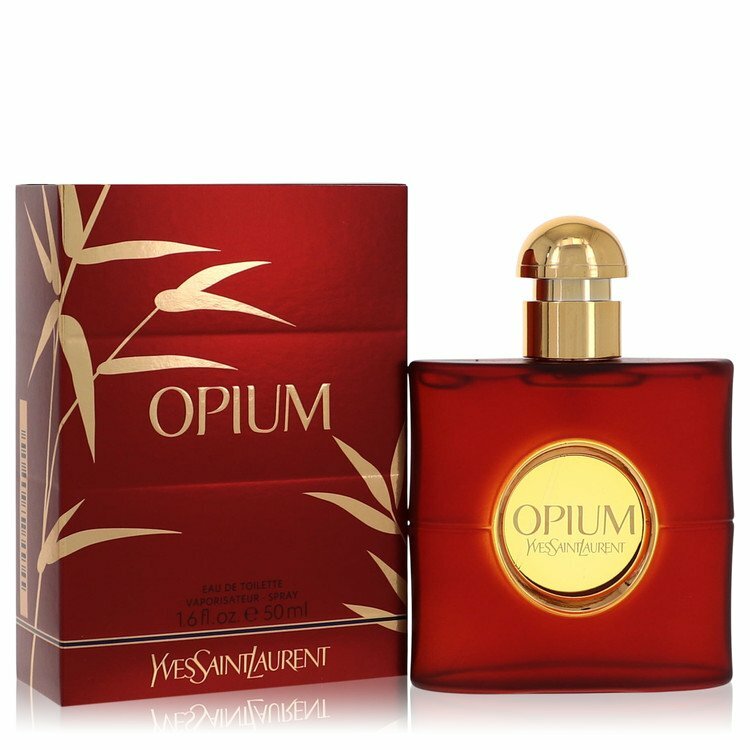 NEW: Yves Saint Laurent - Opium Extrait de Parfum 40th Anniversary Edition For Women! 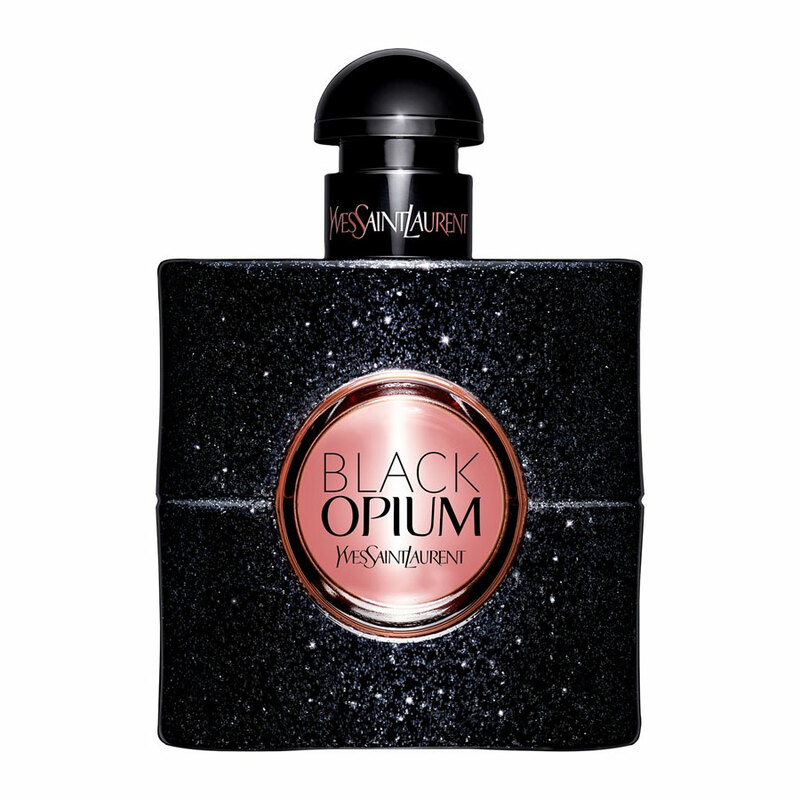 NEW: Yves Saint Laurent - Black Opium Firework Collection Edition For Women! NEW: Yves Saint Laurent - Black Opium Pure Illusion For Women! Yves Saint Laurent Opium Pour Homme 2016 Batch Back In Production?